If you’re the Category Manager for a large retailer, you’ve probably got your hands full (to put it lightly). With days packed to the brim with meetings, email ping pong and supplier negotiations, your focus tends to (in fact, it has to) be on the short-term – on keeping the department under control and making sure things don’t go pear-shaped. There’s simply too little time to create a viable long-term strategy, and even if there were, the existing systems seem nigh impossible to overhaul or redesign. It’s likely that the people trying to manage this kind of situation on a daily basis are getting less quality sleep than your average person. If you’ve got the can-do attitude and the mental fortitude that it takes to categorise and manage the product department for a large organisation, good on you – we’re impressed. But our praise isn’t going to help you get through the night without waking up from product-induced nightmares – here’s what will. Structured, manageable and organised product departments exist – even for companies with 10,000+ products (as unachievable as it may seem). 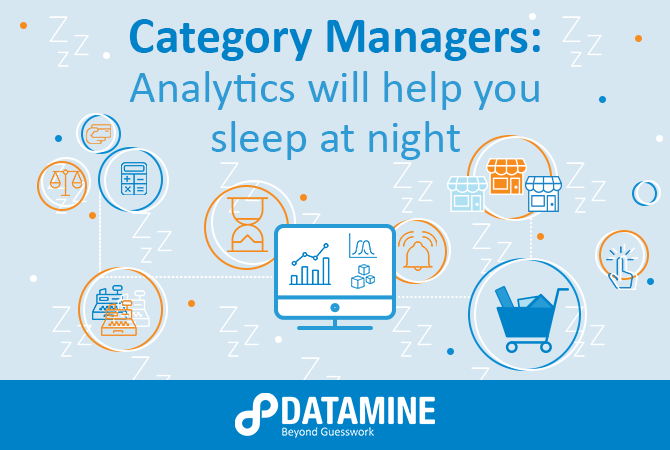 So how do those Category Managers do it? How do the people behind massive businesses create efficient, scalable strategies when they have thousands of different items and brands to deal with – and extremely little time to do it? Many organisations have begun employing Category Analytics solutions to tackle their complex product challenges. What products should we have as staples? What stores should have what products? How many product hierarchies do we need? How loyal are customers to any one product, and to us? Pricing different products (particularly when they number in the thousands) can pose a challenge for large organisations. Many Category Managers know their pricing strategy isn’t quite right, but they’re not sure how to fix it – perhaps they’ve jumped on board with the ‘good, better, best’ strategy, offering customers at least three product options with prices to cater to various market segments. But what data are these product prices based on? Or are they just arbitrary? A better approach to pricing for organisations with tens of thousands of products is to create an automated pricing and scenario model. These models act as a more advanced kind of A/B testing - by plugging in certain scenarios (e.g. charging X for one product and Y for another, then switching it around to see the difference), you can test out what pricing strategy will work best for a given customer base or product range within your business. The tool can be tailored to fit your departmental requirements – whether that means a user-friendly price comparison application or a sophisticated pricing model that allows for scenario testing, competitor price testing or financial analysis. Another component of pricing in large companies is, of course, discounting – to optimise this strategy, some companies use an analytical solution known as Revenue Management. Hidden within the sales data lie insights into each product’s price-elasticity, meaning the relationship between price and demand. Products with high elasticity (high demand at a low price and medium/low demand at a high price) tend to be the best items to discount or have promotions for. Looking at past promotions can help you determine which discounted items drove spend throughout the entire store, compared to those that just spiked sales for the one product but didn’t actually make an impact on revenue. These well-informed approaches to pricing give Category Managers better insight and control over factors that impact the profitability of the business, as well as the visibility to make better-informed decisions - ranging from strategy changes to process re-engineering. Your transactional data can tell you what products and brands certain customers tend to purchase - but how do they respond when another brand is discounted? Or when their preferred product is out of stock? Or when a different product flavour or pack size is released? The solution we suggest for this kind of challenge is known as Substitutability and Loyalty Analysis, a project where we analyse sales data to see how people have historically responded to discounts or outages of their favourite brands and what they’ve purchased instead. New product development - what niches are available to tap into? What is driving customers to purchase (brand, packaging, flavour etc.)? When you understand what customers want, you’re able to stock new products that don’t cannibalise the existing range. Commercial negotiations - a Substitutability and Loyalty Analysis can save Category Managers a significant amount of time. If you know that a certain product range has extremely high or low brand loyalty, you can focus your time on supplier negotiations with only the most promising brands. Better insights into promotions - we did a Substitutability and Loyalty Analysis for a supermarket chain where we analysed brand loyalty to specific laundry detergents. Looking at the repeat customers of both a premium brand and a budget brand, we found that if the budget detergent was discounted, the premium customers remained loyal to their detergent. However, if the premium brand was discounted, budget customers were significantly more likely to buy premium, even if it still cost a bit more than the budget brand full price. This gave the supermarket chain the insight to know they’d see greater ROI from premium brand discounts in the future. Understanding customer brand loyalty might seem like an insignificant issue compared to more immediate challenges, but understanding product substitutability and loyalty allows you to do a better job in the long term of both creating optimised product ranges and navigating commercial negotiations. Another big challenge in product and category management is creating hierarchies that are logical and usable by departments throughout the business. If you’ve got tens of thousands of products, the maintenance of those hierarchies is incredibly challenging - especially if they’ve been around for a long time. When there are multiple people continuously adding new products to the hierarchy manually, there’s a disconnect that can ultimately lead to disorganised and incorrect hierarchies. To add insult to injury, the systems used to create these structures typically have an operational flow, meaning the groupings are based on pre-existing hierarchies rather than the products themselves and therefore end up performing worse in the front end. It might seem like an impossible task, but we’ve used this solution to help multiple Category Managers to organise their product hierarchies and streamline their groupings. Moving the focus from short-term damage control to long-term strategy can seem like an insurmountable task, even with the above ideas for optimisation outlined. We know your time is precious, but strategic work like the above is important to make time for - luckily, you likely won’t have to completely overhaul your product strategy in order to benefit from these analytics solutions. When you enlist the help of a data analytics partner, their goal is to tailor the solution to fit your existing infrastructure and optimise it – you’ll work alongside the team as they undergo the analysis, deliver you the results and help you implement them in your product strategy. With a long-term plan in place, you get tackle the day-to-day challenges and have the peace of mind to sleep at night. 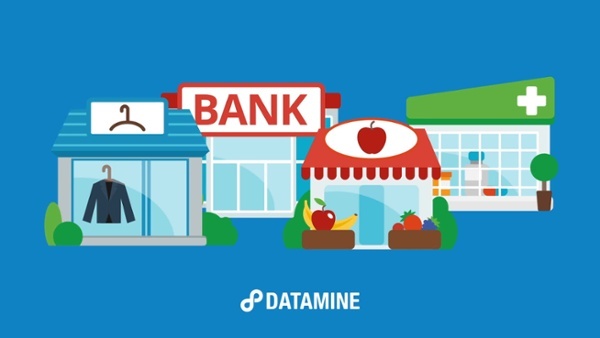 Interested in some of the work Datamine has done in Category Analytics? Check out this price sensitivity case study, or chat with one of our team about enhancing your strategy and getting your categories into ship shape. Sally’s 30 years of experience in strategy and quantitative decision-making ensures she can always be relied on to deliver extraordinary results. Sally is a co-owner and director of Datamine. Originally from the UK, she is a fellow of the UK Institute of Direct and Digital Marketing and holds a BA in Systems Analysis and MBA from Bradford University.